We run our Winter Night Shelter through the coldest months of the year. This project supports the homeless in Peterborough and those of Peterborough that have no where safe or secure to stay during the cold winter nights. From the earliest days of Christianity church communities have provided hospitality and shelter to those in spiritual and material need. This, and the fact that in this day and age homelessness in Peterborough is still a huge issue, has resulted in the creation of the Winter Night Shelter in Peterborough. This project began in May 2015 for a short trial to see if it could and would work. From then the project has become a more permanent fixture, now just finished its 4th year with plans to continue for the foreseeable future. We all see homeless people in Peterborough sat in our local parks, sitting in shop doorways or tucked up under cardboard sheets in the rain. We feel moved to do something to help them, but unsure if a gift of money or a some food or drink is the right option – we often find we do nothing but walk by, while the image of the cold person in need plays on our mind. 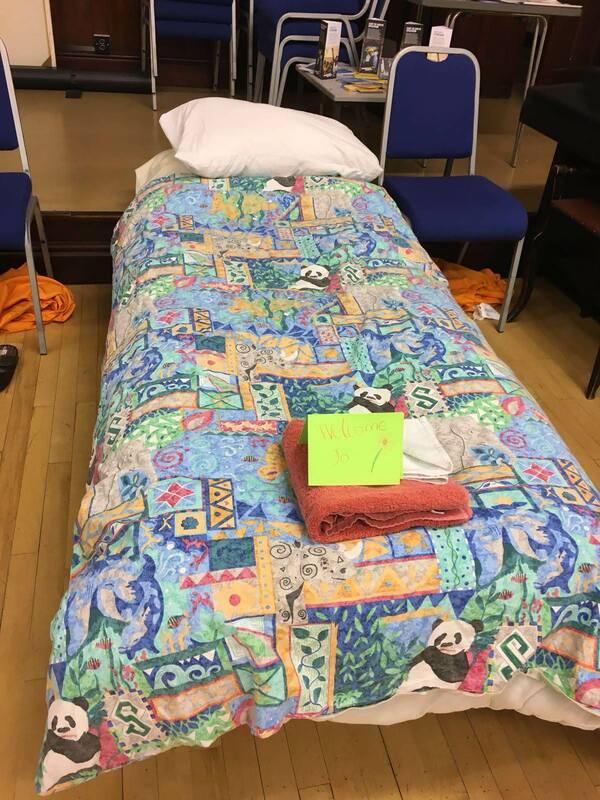 The Winter Night Shelter helps the homeless in Peterborough by offering a bed for the night to up to 8 homeless people each night. During their stay they will receive a warm dinner, breakfast and washing facilities, as well as warm bed with fresh linen. The homeless guests will get the chance to speak to the volunteers on the project and gain support from these volunteers and the project workers to help them improve their current situations and move forward with their lives, into more permanent accommodation. 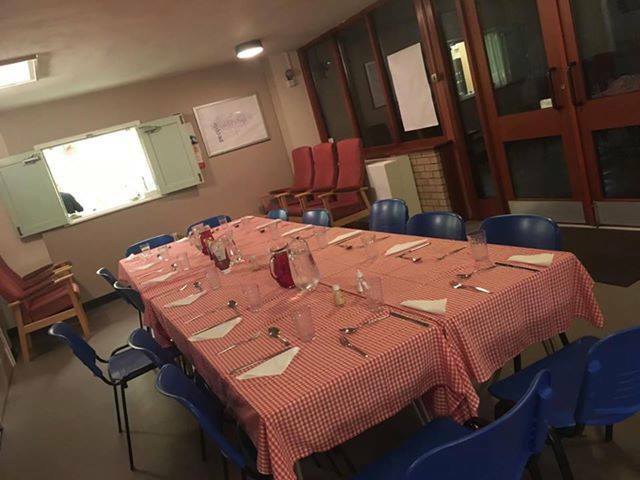 And the results speak for themselves; In 2018 – 2019 the Winter Night Shelter ran for 18 weeks from November until the end of March and during this time 371 volunteers donated 8764 hours of their time. 928 beds, out of a potential 1016 beds were filled by homeless people in Peterborough during the project. We welcomed 55 homeless people in Peterborough during the project, and 29 of these guests move into accommodation. The Winter Night Shelter works in partnership with different church centres, from different denominations. Across the 2018 – 2019 season 12 amazing church communities opened their doors to work together to support the homeless. If you or your church would like to get involved with the next Winter Night Shelter project then please contact us to confirm your interest. However, if you would like to donate any amount to support this project, which runs solely on funding, donations and volunteers, we would be extremely grateful. Every penny really does count!